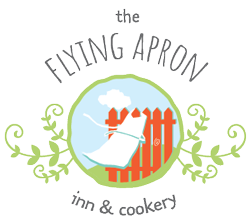 Reservations are now open for our 4th Annual Father’s Day Brunch Buffet at The Flying Apron Inn & Cookery. The menu features something for everyone; our only recommendation is: come hungry! Reservations are required. Call to book your table 902-633-2300. Credit card confirmation required at time of reservation, 72-hour cancellation policy applies.